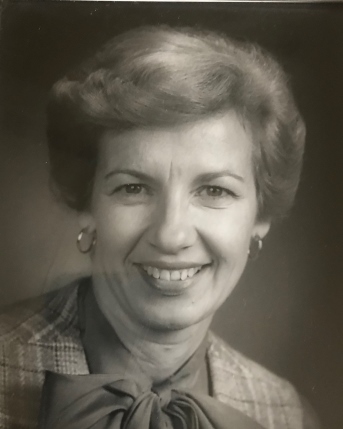 Virgeleen Irene Fairbanks, affectionately called Puddy, was called home by our Heavenly Father on September 4, 2018 at the age of 86. She was born on May 26, 1932 in Alba MI to Noel and Lula Thomson. She was raised on a dairy farm in East Jordan Michigan with her 12 siblings where she graduated from East Jordan High School in 1951. She and her family returned to their East Jordan cottage every summer for over 50 years. She married her high school sweetheart, Charles Leo Fairbanks of Charleviox MI and had five children during their 63-year marriage. She was a devoted wife and mother who took great joy in caring for her family and supporting her husband in his work. She was highly regarded for hostessing game day celebrations for several football programs they were associated with including Arizona State, Univ of Houston, Univ of Oklahoma, New England Patriots, and others. She had many beloved neighbors and close friends across the country as their work brought them from coast to coast. She had a particular love for young children as evidenced by the artwork on her fridge! They were members of First Baptist Church of Norman as well as others as they moved. She and her husband belonged to the Troon Country Club in Scottsdale AZ, LaQuinta Golf Club in LaQuinta CA, and the Belvedere Golf and Country Club in Charlevoix, MI. She was preceded in death by her husband Charles L. Fairbanks, parents Noel and Lula Hale Thomson, her brothers Ivan, Arnie, Link, and Eddie; sisters Ada Thomson Brown, Merta Thomson Brown, Janie Thomson Benson, and Helen Thomson Simpson; and her husband’s parents Grace and Ron Fairbanks. She is survived by her children Chuck Fairbanks Jr. of Midlothian TX and wife Beverly, Gwenn Fairbanks Hare of Norman OK and husband Bobby, Melissa Fairbanks Egri of Indio CA and husband John, Tyler Fairbanks of Sulphur Springs TX and wife Chris, and Toby Fairbanks of Dallas TX; eleven grandchildren and three great grandchildren, her brother Tuck Thomson and sisters Arless Thomson, Wava Sinclair, and Teny Perry, as well as many cherished brothers and sisters in-laws, nieces and nephews. A memorial service will be held at Havenbrook Funeral Home, 3401 Havenbrook St., Norman, OK on Monday, September 10, 2018 at 1:00 pm. Mrs. Fairbanks will be buried next to her husband at Brookside Cemetery in Charlevoix MI.